THE UNNOTICED EMS SACRIFICE - WHAT PARAMEDICS REALLY ENDUREThis entry was posted on April 13, 2016 by Patrick Black. As a former, full-time paramedic, I have a deep passion for the pre-hospital work that our nation's Emergency Medical Services (EMS) professionals contribute to the health and safety of our country. These professionals include first responders, EMTs, emergency medical dispatchers, and paramedics. It takes the full team of professionals to make the system work efficiently and successfully. I am a big supporter of National EMS Week, and I encourage you to support this week of awareness too. The majority of Americans don't understand the number of huge personal sacrifices required by our EMS workers to do their job. The commitment to do the job long-term is not for the faint of heart. It is consistently a challenge on many levels, including physically, mentally, emotionally, and financially. However, please understand that EMS professionals are not looking for a pat on the back or special recognition. In fact, what keeps them going is the deep desire to help others in need, despite their general lack of recognition and their low salary for the grueling job duties. Truth be told, most EMTs and paramedics thrive on being part of a true emergency situation, so they can put their skills to good use and make a positive difference for their patient. Below is a brief list of the sacrifices paramedics have to endure in order to be remain highly trained, confident, and emotionally ready to respond to your emergency. Note that when I say "paramedics," this also includes EMT's and first responders. I referenced paramedics since this training level is typically the goal to reach in an EMS career, because it is the highest level of care in EMS. given scenario; however, there are limitations and unforeseen dangers. Examples of unsafe situations include suicidal and other mentally unstable patients, motor vehicle crash scenes, and violent behavior from involved people at a scene. There were many situations I encountered as a paramedic in which I found out after the fact that the patient had a knife or gun on his person (and they were mentally unstable). The sites of motor vehicle wrecks are particularly dangerous due to the disrupted flow of traffic and the excessive lookey-loos that drive by the crash site. The dangers for EMS professionals are real.Financial Challenges - It's common knowledge that any profession dealing with public service is plagued by lousy salaries. This stands true for paramedics. Salary.com shows the median annual salary for paramedics to be $39,940. This average salary is abysmal in relation to the amount of hours put into the job. 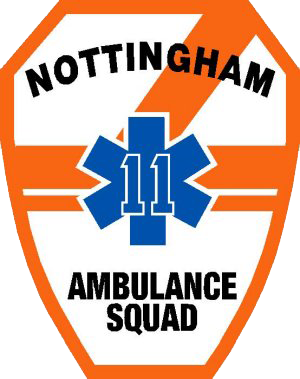 For example, a common shift for paramedics is 24 hours on duty followed by 48 hours off duty. This equates to an average of 60 hours per week, which is 20 hours per week above a typical full-time career. Because the salaries are so low, many paramedics have second and third jobs in order to financially provide for their families.Mental Stress - Many jobs are stressful due to deadlines and high volume loads. However, for typical careers, you leave that stress behind when you leave the office. For paramedics this is far from the case. When a paramedic finishes a shift for the day, how does he leave the thought of that infant that died from SIDS? How does he forget about someone's young wife who was killed in an automobile accident? How does he fight the depressive thoughts of the senior citizen he responded to who was abused and neglected by her own son? It is also very stressful to have the responsibility for making decisions of whether or not someone lives or dies. This type of stress is not "left at the office" when paramedics go home. It causes emotional baggage that must be dealt with by talking it through with a spouse, trusted friend, or professional counselor. There aren't too many other jobs that have professional counselors on retainer for their employees.Significant Continuing Education - Paramedics have to dedicate more of their time (usually on days off) to obtain the proper number of continuing education hours to re-certify. Most states require re-certification every 2 years, which requires about 84 hours (includes Advanced Cardiac Life Support [ACLS] and CPR) of continuing education. How does that number compare to other medical professionals? Most doctors (MDs) are required to obtain between 20-50 continuing education hours every 2 years. Registered nurses are required to earn anywhere from 0-30 hours of continuing ed every 2 years, depending on the state. As you can see, the number hours required for paramedics seems exorbitant; however, it's necessary to make sure their skills remain sharp during an emergency situation. This extra time spent on continuing education has not only a financial cost, but more importantly a cost of more time away from their family.Health - Stress can wreak havoc on your health. Since paramedics are frequently in a state of adrenaline rush and mental stress, their health can be significantly impacted. Additionally, working long shifts often leads to very poor dietary habits such as eating fast food, skipping meals, eating too quickly, high sugar consumption, and excessive caffeine intake. All of this leads to poor sleeping habits, which further deteriorates health. The list above represents only 6 of the sacrifices by paramedics. I can assure you there are many more. I hope to bring more awareness to the world of EMS in order to increase appreciation and ultimately, make the entire profession better. Next time you see your local EMS professionals out in town, tell them how much you appreciate their dedication to their community. And don't forget to do something to show your appreciation for National EMS Week!